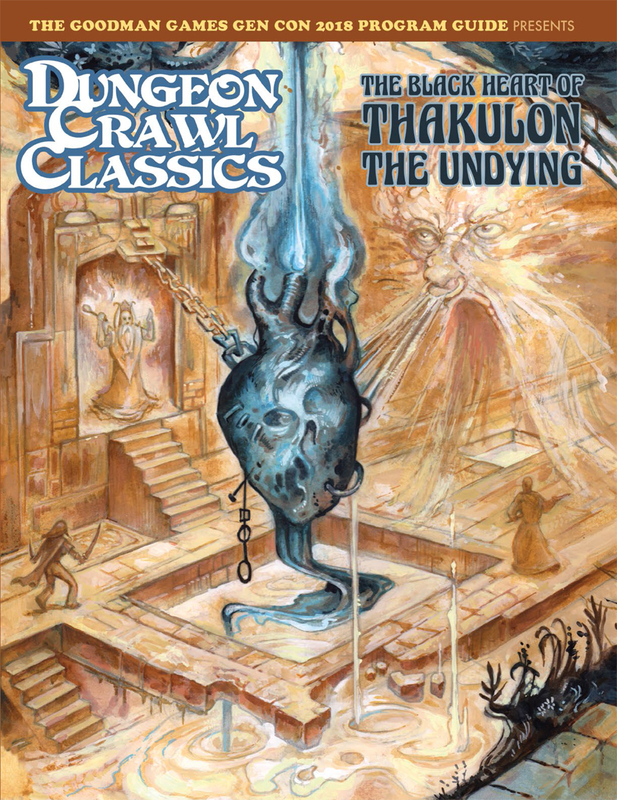 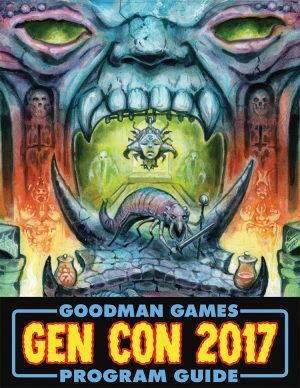 Building on the immense popularity of the Dungeon Crawl Classics Team Tournament at Gen Con 2017, the program guide for 2018 “presents” Dungeon Crawl Classics: The Black Heart Of Thakulon the Undying. 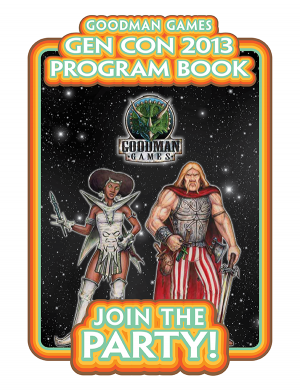 This double-sized DCC adventure comes complete with pre-generated characters and scoring instructions so fans can run their own tournament at home! 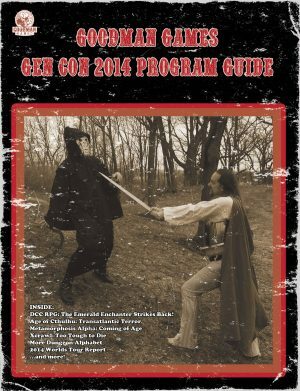 The adventure is recommended for level 4 characters. 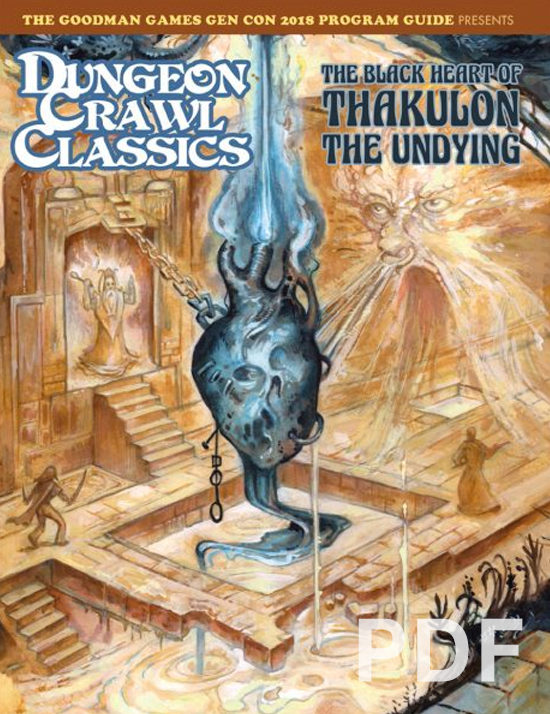 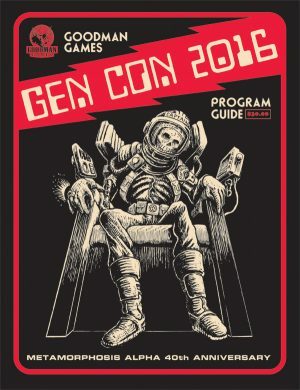 The Dungeon Crawl Classics: The Black Heart of Thakulon the Undying (2018 Gen Con Program Guide) is 112 pages and includes a color gallery showcasing the great games of 2017.